Replacement square section neoprene rubber drive belts available in popular sizes to fit many diverse hi-fi units; eg Revox A77, B77 & PR99 Mk1, tape recorders, cassette decks, turntables, walkman, CD / DVD / XBox door tray drives, VCRs, projectors, tools, models and toys. 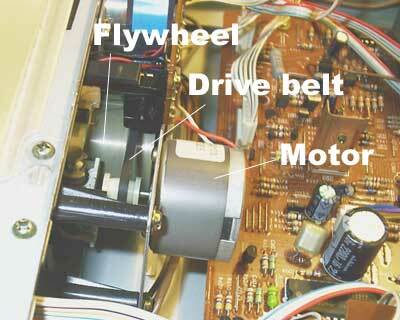 CD / DVD /cassette drive: Use a piece of string or wire to measure the total distance round the band drive path. Then deduct approximately 10% to allow the correct drive tension. or phone 0131 661 0022. "It was the correct goods. The price was OK. Delivery time was OK. Invoice is clear and understandable.